Have a question? Check out the articles, FAQs, or contact us. 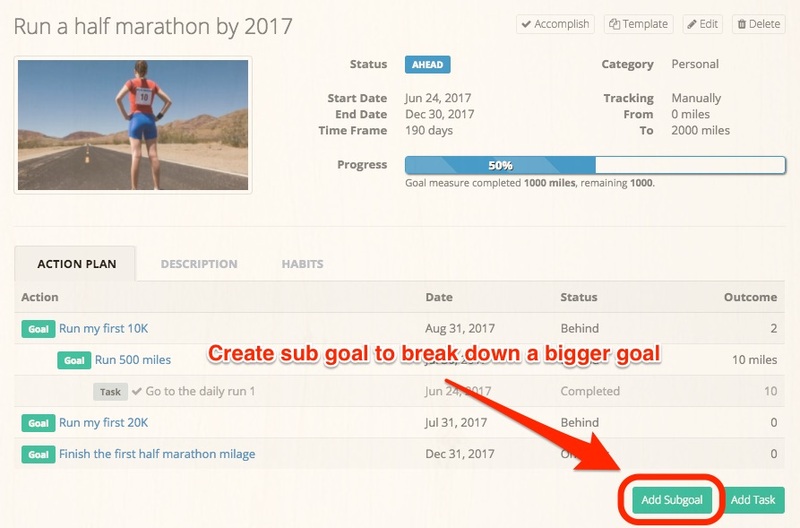 If you are new to GoalsOnTrack, please make sure to check out these articles on how to get started and how to get the most out of the program. Learn what GoalsOnTrack is all about and how it can help you better achieve your goals. 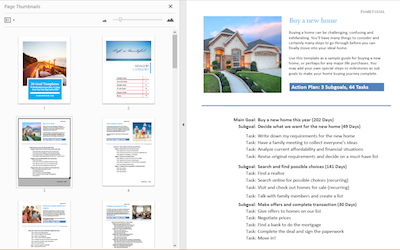 A quick getting started guide and overview of what you can do with the software. If you are new to GoalsOnTrack, this is the article you definitely want to check out. Follow the simple steps outlined in the tutorial and you'll be surely off to a good start. 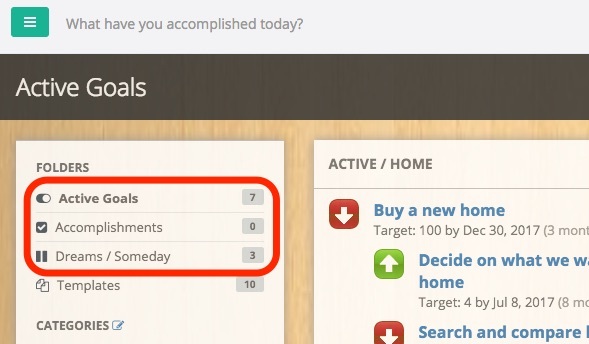 Use the built-in goal templates to create your goals with all sub goals, tasks, and habits planned out for you. 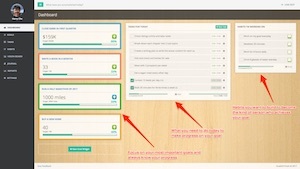 Save time on data entry and learn how to create your own templates. Learn how to keep all your goals and action plans organized so that you always have the clarity on where you are and where you are going. 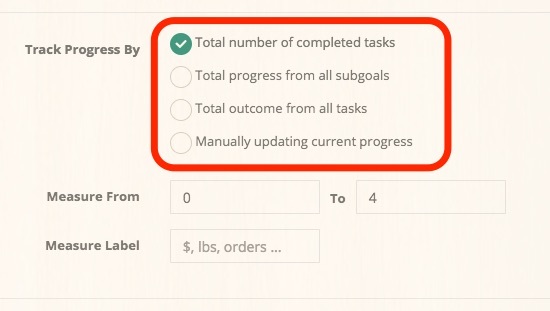 GoalsOnTrack can help you brainstorm and organize all the action steps required to make consistent progress on your goal. 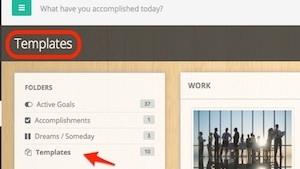 Learn how to track your goal progress automatically as you take action working on your goal. 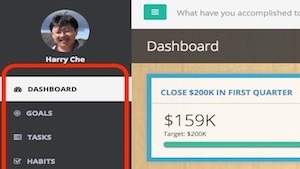 This article will show you to how to set your goal metrics. What do I get after I sign up? Can I try your software for free? Absolutely! Feel free to sign up for yourself to give it a try. We offer a 30-day money back guarantee. The reason we require payment upon signing up is to make sure all registered users are serious and fully committed to testing out the software. We are a proud member of Better Business Bureau (BBB). We stand behind our products and services, and guarantee customer satisfaction or we will refund your money. Are my credit card or data secure? All the data you enter into the program is completely secure and confidential. We'll never access, disclose or share your personal information with anyone without your permission. We do not store your credit card information on our server so your purchase data is completely secure and safe when you sign up. We offer a full 30-day money-back guarantee. If you sign up today and don’t agree that it’s worth every penny, we'll promptly refund your money. No questions asked. No hassle. Just send us a request in the contact us form at the bottom of every page, or cancel it from within your account. We'll promptly refund your money if it’s within 30 days of your purchase. What if I need help learning the system? Our software has been designed to be very easy to use and quick to learn. To learn about the basic steps you need to take to get started. please check the support articles and tutorials. If you have any questions, please feel free to contact us. I just signed up but still no login? Please wait about 5 to 10 minutes for the welcome email to arrive in your in-box. Also double check your junk/spam folder just in case. If you use Gmail, check other tabs in your in-box. If you signed up via PayPal, please make sure to check your PayPal email address where the login has been delivered. After you are logged in, click "Settings" on right navigation menu. Then "Login Password" from the sub menu. There you should be able to change your password. Your new password will be effective the next time you log in. How to change my account email address? Currently your account email address is linked to your account login username, which cannot be changed directly in the software. But we can change it for you from the back end. Let us know which new email address you wish to use, and we'll update it for you. To cancel your account or request refund, please log in to your account and then click Cancel Subscription link on the Settings page. If you can no longer log in to your account, please send us your cancellation request via the Contact Us form on the website. Please make sure you provide your account email and full registered name, or any payment information that may help us find your account. Any feedback or suggestions are greatly appreciated. Drop us a message if you couldn't find an answer to your question from articles or FAQs. Send us your questions or comments. We try to answer all enquiries within 24 hours on business days.